"We live on the west coast, my condo is in Chicago. Andrea has now found renters for us twice. Both times she found great tenants really quickly and handled the showings, credit / background checks, the lease and other little odds and ends that are so difficult to deal with as remote landlords. We are grateful to have found her and will continue to have her represent our condo." "Andrea is great! She is always available and easy to reach if you have any questions or concerns. She was there from the beginning until closing. I've used Andrea three times and will continue to depend on her for my realtor needs." "Andrea is a real professional - she knows her markets, the neighborhoods, the brokers, the properties. And a pleasure to work with!" "Andrea was very quick to respond to messages and calls. She made the process of applying very smooth." "Andrea was an absolute godsend when we moved to Chicago from Belgium. We had a tight turnaround and budget with a relatively long list of demands, and Andrea worked tirelessly to shortlist properties to meet and exceed our expectations. She never tried to pressure us to make a quick decision. She gave us fantastic advice, space when we needed it, and, above all, we just really enjoyed spending time with her. Hands down the best broker in Chicago!" "Andrea is an outstanding agent. She's attentive to our needs, flexible, and always gives thoughtful, trustworthy advice with our best interests in mind. She's experienced, efficient, and extremely knowledgeable. We've used her for 3 separate sales/purchases and refer her to everyone we know. We love working with her." "Andrea was excellent. As a buyer of a second home in a different state than our main residence, she listened to our requirements and did not impose her opinions but offered her expertise when asked directly for it. Stuck to our budget and did not show us anything over and above UNLESS we asked to see it. Would definitely use her in our next transaction." "Exceptional in every aspect. Professional to the max. Knowledgeable, caring, friendly, experienced and responsive. This woman knows the market and she knows how to drill-down to the essence of what makes a real estate transaction successful. She was recommended by a friend and I can see why. I would recommend Andrea in a heart beat." "Andrea helped us purchase our first home and was absolutely wonderful. She is one of the most organized and prepared people I've ever met, and she made us feel very comfortable during the entire process. She didn't miss a single detail and she took the time to make sure we understood every aspect of the process, from looking at homes through closing. She personally saw that every request we had during contract negotiation was taken care of, and diligently followed up with all parties as needed. We had a few hiccups outside of Andrea's control, and she fought to make sure all the inconveniences we experienced were remedied. If you are looking for an agent who will make you confident and taken care of during your home buying process, she's the one!" "Andrea was amazing. Being 'newbies' to Chicago from Australia and NZ (via London) Andrea's local knowledge was extremely valuable. Andrea came highly recommended from another work colleague and despite us contacting her pretty late in our relocation process she was able to set up viewings of 15-20 properties within a few days. Andrea picked up very quickly on our likes and dislikes and didn't try to influence us away from these (unlike our experience with other agents in the past), instead she focussed on finding a property that was a best fit with our needs with minimal compromises. Andrea well and truly has her finger on the pulse re the Chicago property market and was fantastic at pointing out the not so obvious traps and pitfalls in each property we looked at. Andrea also managed our negotiation on our behalf and through some clever tactics was able to negotiate a fantastic outcome and behalf. Finally Andrea is simply a great person, she has fantastic relationship management skills, a great nature and sense of humour and we can't wait to buy her dinner when we arrive in Chicago next month. I would highly recommend Andrea's services to anyone looking at buying/renting a property in the Chicago area." "ANDREA HEBNER IS AN OUTSTANDING REALTOR AND PROFESSIONAL IN EVERY WAY. SHE IS RESPONSIVE, ASTUTE, INTELLIGENT, AND GOES ABOVE AND BEYOND THE CALL OF DUTY. I HAVE HAD OTHER REALTORS IN THE PAST WHO WERE CLEARLY ONLY INTERESTED IN THE SALE AND THEIR COMMISSION. AFTER A VERY BAD EXPERIENCE, I STARTED USING ANDREA OVER 3 YEARS AGO AND WOULD NOT USE ANYONE ELSE. SHE IS NOT ONLY AN EXCELLENT REALTOR BUT A VERY FINE PERSON. MY ENTIRE BUILDING FEELS THE SAME." "Andrea is patient, understanding, and so easy to work with.She understands her clients and helps them make the best decisions." "Andrea is amazing. She walked me through every step of buying my first home. She found me a great home, and I couldn't be happier." "Andrea was introduced to me through a friend. Moving from the UK I found her absolutely brilliant in terms of knowledge, tips and negotiations. Since then I have further recommended her to friends and found a place to live!" "Andrea Hebner was very knowledgeable, efficient, and collaborative in the purchase of my condominium. Most important, she found the apartment for me when, while she was away on vacation in Europe, she sent me listings almost daily. But for this remarkable reliability and diligence of hers, I would have missed the listing. And then, over the next few months before the sale, she kept in touch and responded right away whenever I called or emailed her. She also made sure that I knew what I needed to do in the complicated process of buying real estate, while I was also simultaneously involved in the sale of my home. Throughout, I knew I could rely on Andrea. Michael"
"I have worked with Andrea on the sale, purchase and rental of multiple properties. She is a dedicated professional with a talent and knowledge base that exceeds even my most demanding standard. Her enthusiasm is matched by her attention to detail and her ability to move a project forward while accomplishing the goals of her clients. She is realistic, optimistic, charismatic and a pleasure to work with. I continue to recommend her to friends and colleagues without the slightest hesitation." "Andrea is simply amazing at what she does. Her professionalism, knowledge, and eagerness to work for you is unparalleled. Being a first time home buyer as I was can be quite daunting, but working through every step with Andrea made the process a piece of cake and so much less stressful than countless stories ive heard from peers. Shes listens to what you want and works very hard for you to get the best value once you find it! I was even impressed with all her recommendations for attorneys, inspectors, contractors, etc. They all were credible and did a fantastic job to get things in order so I could close happy and on time on my property. If you're looking for a credible, honest, hard working broker...do yourself a favor and give Andrea a shot." "In addition to market knowledge and overall professionalism, the most important thing that Andrea Hebner, my broker, provided was consistent and thorough communication during the listing period. Invaluable in evaluating offers and listing prices." "Andrea again did a wonderful job for my wife and I as we looked at houses for 3 months and helped us find exactly what we were looking for. She was patient, attentive, and committed to getting us into our ideal house. We trusted her opinion, insights, and judgement. She continually advocated for us, and we sincerely appreciated her outstanding work on our behalf." "Coming in from out of town I was nervous about my condo search, but Andrea found multiple great properties that were consistent with my requests and found me a great place. I can't wait to move in!" "Andrea is extremely responsive. Andrea is available day and night to answer questions and handle issues." "I really appreciated Andrea's efficiency, objective feedback, and prompt service!" "Andrea was knowledgable, friendly and very helpful in finding exactly what I wanted. She's a true professional and is highly recommended!" "Andrea was a dream come true; she's a uniquely wonderful realtor! We were so fortunate to see Andrea's name attached to rental properties in which we were interested. From the very first phone call, Andrea was so professional, knowledgeable and easy to talk to--we immediately felt that we were in great hands. To be perfectly honest, we did not have the easiest situation for Andrea to navigate: we had to locate and secure a rental property in a short period of time due to foreclosure and our credit situation was not attractive to most owners. We also had specific requirements which made it a somewhat tricky search, especially during mid- and the end of October when there are often fewer properties from which to choose. At our request, Andrea suggested and arranged for us to see a variety of properties in different neighborhoods, including the South Loop and Andersonville/Edgewater. As you can imagine, we got discouraged at times, but Andrea always remained upbeat and determined; she is also fun to be around (she has a great spirit and sense of humor). We really appreciated that she never inserted her own feelings into the selection process; she neither pushed nor rejected any unit that we saw. She truly remained neutral throughout the entire process, which was refreshing. Andrea never failed to quickly respond to our emails/phone calls; her abundant energy and strong customer service focus are amazing. She aggressively contacted and negotiated with other realtors and their clients on our behalf; her consistent efforts paid off as we were so happy to sign a December 1 lease on an Andersonville unit. We realize that we would have not been able to secure our new home without her help; we're so grateful. We felt guilty taking up so much of Andrea's time for just a rental property search, but we can only assume that she treats all of her clients with the utmost care and respect! (both buyers/sellers and renters). We really look forward to working with her again; in fact, she is the only realtor whom we would want to utilize in the future, as well as the only one whom we would recommend to others requiring real estate services (and we have used a few realtors in the past). She's wonderful!" "Andrea is an exceptional broker and we would not hesitate to recommend her to friends and family. She spent a lot of time patiently showing us properties even when we totally changed our mind on what we were looking for. She happily took care of every single detail and was always on top of everything, even while on vacation. She went above and beyond in all ways." "Andrea was wonderful in helping me and my boyfriend find an apartment in Chicago. We're moving out from New Jersey and didn't know what to expect and she was a total expert on the area and all the buildings she showed us. I highly recommend Andrea for all of her expertise, professionalism and kindness." "Andrea has once again proven that she is the best that the real estate industry has to offer! Probably the 5th transaction that I have done with her and she got the job done. Thanks Andrea.... Job well done!!!" "Andrea is hard-working, reliable, and knowledgeable. We were extremely satisfied with our experience and highly recommend her to everyone." "We worked with Andrea Hebner for the third time on the purchase of our new house and she was once again terrific. Very responsive, always puts the customer first, and made us feel like her most important client. Overall very positive experience working with her. The best testimate of how highly we think of Andrea is we recommended her to 7-8 family and friends and they where all very happy with her." "I only used Andrea for rental of my condo, not an actual sale. This is the second year I have worked with her and am 100% satisfied with my experience. She is professional, courterous & responsive, all traits you are looking for when either renting or selling your home." "I met Andrea in 2009 when my husband and I bought a condo in Chicago. We were extremely impressed with Andrea's knowledge, effectiveness and efficiency though she represented the seller at that time. In 2010, we needed to rent out the condo and I immediately sought Andrea's help. She has since represented us repeatedly. As our broker, Andrea is professional, friendly, effective and efficient. I totally trust her advice. She often takes extra steps to help out her clients, making every business transaction as trouble-free as possible for her clients. It has been a great pleasure for me working with Andrea and I highly recommend her to anyone who is looking to buy, sell or lease a property!" "Andrea Hebner was great! She was very easy to work with and exceeded my expectations from start to finish. She handled my sale professionally and expertly and I will definitely recommend and work with Andrea and @properties in the future. Thank you!" "Thanks for all your help. Things moved rather quickly and efficiently." "Andrea Hebner is a true professional! It took about 6 months to find the perfect home and Andrea was very patient the entire time! We probably toured dozens of homes and each tour was like her first.. Andrea is a great asset to your team!" "Andrea is an absolute professional. 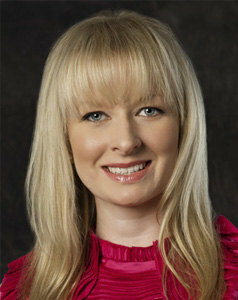 She is well informed, personable and excellent at execution of all that needs to be done with renting/selling a home." "Andrea Hebner exceeded my expectations. She was professional, friendly, and knowledgeable, but more importantly, she made me feel like I was her only client. Whenever I had a question or concern, and there were many, I knew Andrea would return my call or email in a timely manner. We were able to sell my condo faster than I thought possible, even with a couple hiccups that were out of anyones control.I highly recommend Andrea to anyone who is interested in selling their property." "Andrea was extremely helpful leading us through our first home purchase, and a complete shark in negotiating. We could not be happier! We would recommend to our friends, as well as will use her again in many years when we need to upgrade." "Our broker, Andrea, was amazing. We are moving to Chicago from St. Louis and had to find a place quickly. We told her what we were looking for and only had to go to Chicago a couple of times to find the right place. She showed us several properties and the one we really wanted was one that had already had several applications, but she worked at it and got it for us. Andrea made the process simple even from long distance. We are extremely happy with our place and can't wait to move to Chicago." "Andrea was great! Efficient, precise and extremely helpful!" "Andrea has always demonstrated the highest level of customer service. She is quick to respond to emails and voicemails and always presents herself in a very professional manner. Andrea was made for this job and I am sure that she is very successful!" "Andrea Hebner was quick to start showing my condo as soon as she had all the info from me. Even when prospective rentors decided against renting, she did not panic and tell us to lower the price immediately; but assured us she had more showings. She referred us to a cleaning service that was fast and good value. She helped us get the best price we could. In fact, I was impressed with how she was on top of things even while out of the country on vacation!! I will certainly use her again for rentals and when we are ready to sell." "Andrea Hebner is a top-notch professional , a true pleasure to work with and a real go getter. I was very pleased with the quality of prospective tenants, her professionalism and ongoing communication with me. She made it as painless as possible and provided guidance and information whenever requested." "Extremely organized, efficient and genuinely nice and thoughtful." "Andrea was efficient, professional, detailed, and friendly. We could not have found a place without her help and dedication. She went above and beyond our expectations. We felt that she made us her top priority and would happily recommend her to any of our friends and family."